Well maintained rental home located in the heart of Nags Head and one lot away from the ocean with private beach access shared between just these two homes! And when you're not at the beach, spend your free time on the large roof-top deck, enjoying sunrises an sunsets with your favorite beverage. The rental home features a brightly decorated and beach-style interior, offering plenty of amenities to keep the family busy on a rainy day or late evening. Breakaway's location is also very close to grocery stores, restaurants, the outlet mall, golfing (as well as putt-putt) and so much more! And if you like to grill or just sit back and relax outside with a bit of protection from the sun, this rental home has a screened-in front porch as well as a back deck sitting area protected by a pergola, both stocked with comfortable, outdoor furniture. So, if you're looking for a relaxing stay on the Outer Banks that caters to the entire family, then consider 415, Breakaway, to create your perfect vacation experience! 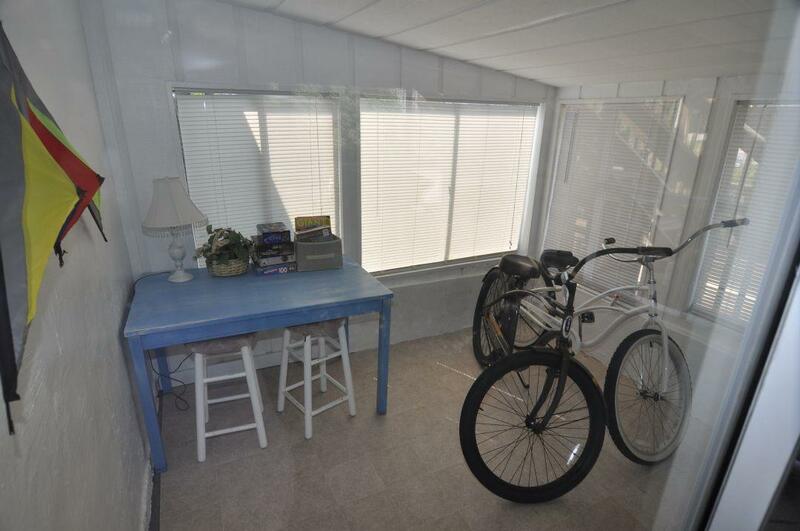 Perfectly located, easy FUN-in-the-sun beach cottage!!! "We stayed here for our children's spring break and it was perfect! Plenty of room for the grandparents to join us and we all had such a great time. The cottage is so roomy inside and feels really private outside. It's practically on the beach with a beautiful, short private walkway to the beach! We could leave our beach chairs on the beach and come and go all day as it's literally less than a minute to the house. We've stayed up and down the beach but this is by far the prettiest part of the beach we've stayed on. The location was convenient to great restaurants and all the sites. Everything was clean and comfortable and the house has a beachy, artsy vibe. Really nice and helpful owners. We can't wait to go back!" Great location, charming, large, comfy cottage steps from the beach! "Amazing stay!	? ? ? ? ? We stayed at the Breakaway in March 2017 and had a wonderful stay! We saw whales heading north just in front of the cottage, dolphin in the waves and enjoyed beautiful long walks on the beach each day, passing by the famous "historic cottage row" which Nags Head is known for. The cottages are just a short walk up the beach from the Breakaway! The cottage is cute and was more spacious than we expected. We liked having two family rooms and all the porches and decks to spread out on. Best of all was the location - just steps to the most beautiful beach and ocean! Everything we needed was nearby - two nice supermarkets at 2 minutes away and plenty of good restaurants. They have two bikes and a bike path runs right by the cottage which was fun for exploring. The kids loved playing in the sand and there were plenty of toys. The cottage is really well equipped, they've thought of everything! Thanks for sharing your adorable home. We will definitely be going back soon! Date of arrival	March 19, 2017 "